It begins at the International Date Line. 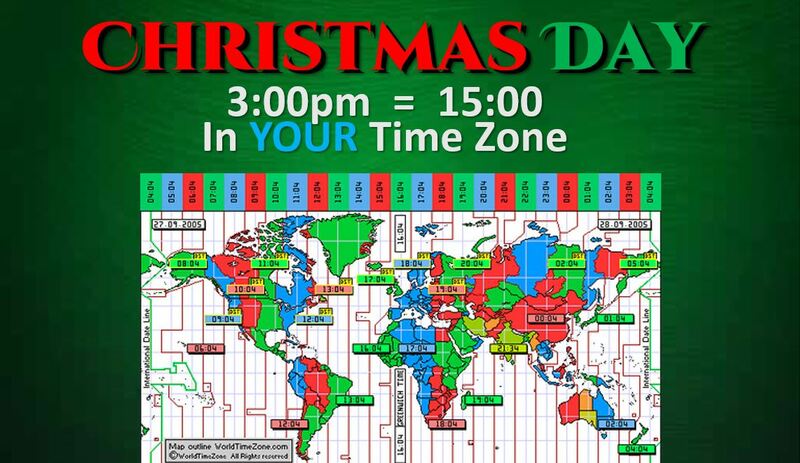 When it turns 3pm in Samoa and Kiribate/Christmas Island, The 5th annual Worldwide Waves Of Praise begins! That’s only 5 hours from now! Then, it proceeds across the earth, one hour at a time, each time it turns “3pm” in the next time zone. 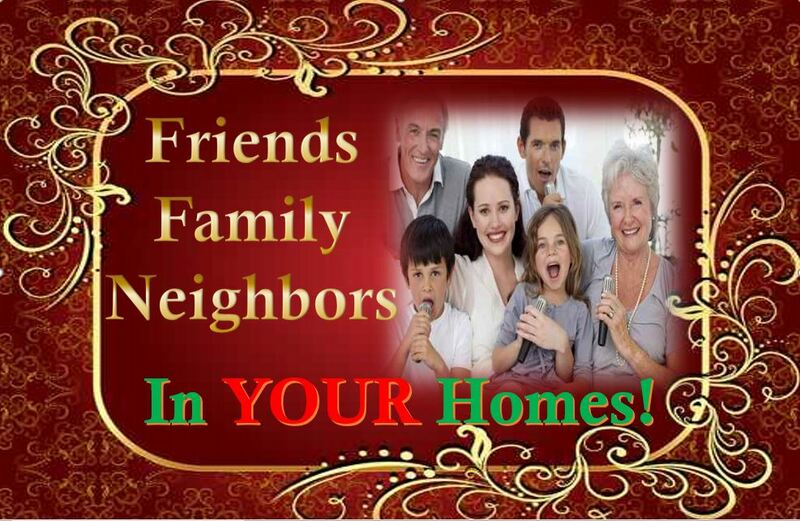 Have you let your friends and family know? Have you got your musical instruments tuned up? Have you picked out songs to sing? At the top of this page are also links to download many items you can use in your “Wave Of Praise.” Things like The Biblical Scriptures of The Birth of Yeshua (Jesus,) Scriptures for praising, Scriptures of the nations praising Him and more. I had planned to have traditional Christmas Carols and praise and worship lyrics in pdf format but ran into a bit of a snag. I don’t want to infringe on copyrights, and the cost of each pdf would have been about $10 per download! This praise movement is not raising funds for its efforts or to conduct this movement. There is still time left….let people across the world know! So far, there have been thousands of emails sent to churches, missions, tv and radio stations, prison ministries and more. There have been posts across many social networks. We’ve had over 100,000 Google AdWords in just 2 days! You see, this is where it begins. Then, like a tree it branches out to reach the peoples of the earth as each of you shares the website, posts, and social network sites, and they in turn, also share! Catching fire – now catch the WAVE! This IS The Hand of God MOVING! TO GOD BE THE GLORY! 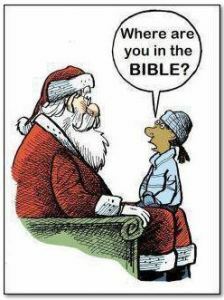 Is santa in the Bible? The answer is……YES! The answer will be given. Check out this chart first, please! See if you can guess the answer. IS THE SON OF GOD Acts like he is god. has always wanted to be god. He couldn’t be, so he created false images so people worship him without realizing who’s behind the mask. Is a Carpenter (Mark 6:3) and Builder (He Is also The Chief Cornerstone) Is a toy carpenter. What are toys? Distractions and often idolatry. Comes as a thief in the night (Matthew 24:43-44) Comes as a thief in the night. Even gains entrance to homes as a thief. Quietly stealing your souls while you get caught up in someone that doesn’t technically exist. Omniscient – Knows all (Hebrews 4:13; 1 John 3:20) Wants you to think he’s omniscient – Knows if you have been good or bad, for the entire year. In fact, because time is eternal, satan would know God’s Plans for us. Also, evil entities CAN read our thoughts, and therefore our hopes, dreams and fears. Omnipresent – (Psalm 139:7-10; Ephesians 4:6; John 3:13) Wants you to think he’s omnipresent – He sees you when you wake or sleep. He has to be everywhere at once to be able to deliver all the toys in one short night. Actually, satan’s powers and abilities are limited. Ageless, eternal (Rev 1:8; 21:6) Will be thrown in the Lake of Fire and he knows it. That’s why he’s worked so hard at deceiving people. 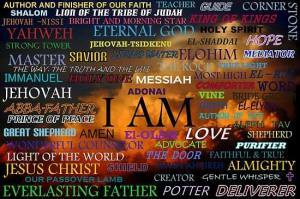 Lives in men (1 Cor 3:16; 2 Cor 6:16-17) (We don’t breathe without Him!) Lives in the hearts of children, because he “gives” toys. C’mon, we all know the truth, that santa claus is a lie of the devil! 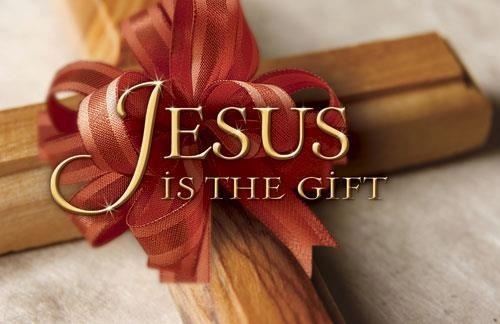 Giver of Gifts (Ephesians 4:8) Giver of Gifts – well, wants people to believe that. It’s the parents who give the gifts. Sits on a throne (Rev 5:1; Heb 1:8) Sits on a throne. Has been trying to seat himself on God’s Throne for eons. Will try it again in the 3rd Temple as the antichrist. He will deceive many, just as he has as santa claus. We are told to boldly go to the throne of Grace for our needs (Heb 4:16) Children are told to approach his throne to ask for anything they want, EVEN to go against their parents’ wishes. Does NOT Lie. Is a lie. Is The Way, The Truth and The Life. Is The Way to Death of the soul, a lie, and ultimate death in the Lake of Fire. John 8:44 Ye are of your father the devil, and the lusts of your father ye will do. He was a murderer from the beginning, and abode not in the truth, because there is no truth in him. When he speaketh a lie, he speaketh of his own: for he is a liar, and the father of it. 1 John 2:18 Little children, it is the last time: and as ye have heard that antichrist shall come, even now are there many antichrists; whereby we know that it is the last time. One last question. What does satan deceive you with? Answer: The kingdoms of this world. That’s what Christmas is often about. Matthew 4:7-9 Jesus said unto him, It is written again, Thou shalt not tempt the Lord thy God. 8 Again, the devil taketh him up into an exceeding high mountain, and sheweth him all the kingdoms of the world, and the glory of them;9 And saith unto him, All these things will I give thee, if thou wilt fall down and worship me. ONE HEART – ONE MIND – ONE VOICE! Nearly every day we see pictures on tv, or on the internet of the Muslim calls to prayer. Countless human bodies face down in supplication and prayer – several times a day. One heart – one mind – one voice. As a result, we see a surge in the growth of Islam and the spread of it through the nations. Yet, Christians, Messianics and Jews are running around tending to things of the flesh: Christmas and Chanukah presents, decorations, foods and festivities. Designer labels, etc., etc. and so on. Not to judge or to denigrate in anyway – this is just a glaring observation. It is time for those who TRULY believe in Adonai Echad – The One, True God, Jehovah, Yahweh, to unite their hearts and voices! How we practice our beliefs is a totally separate issue. That’s between YOU and Him. 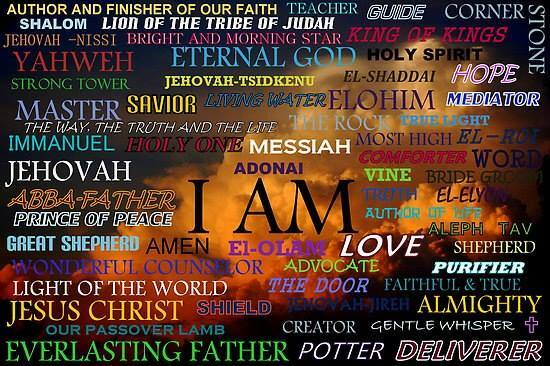 OUR FOUNDATIONS ARE ALL ABOUT “I AM” WHO IS THE EVERLASTING GOD! In Israel today, there are many gatherings of Jews and Gentiles. We must embrace each other as children of The Most High God! It is in unity that we will achieve God’s Purposes here on earth. It is in unity that the Islamic faith is gaining such momentum while Judaism and Christianity are fractured from within! The evil spirit of division has been at work since The Garden of Eden. “Divide and conquer” is its motto. It causes people to argue amongst themselves, bringing strife, contentiousness, argument, anger, hatred, disobedience and more. NOT ONE of us breathes without HIM! We are here in THIS moment only through His Grace! It is our human, fleshly, carnal, egoic minds that are the issue. It is our free will vs. submission to God. Let me tell you, there is tremendous peace in learning to lay down our free will, our desires and our minds to be blindly obedient to Him. I’ve learned to live FOR Him. I’ve learned to take His Direction from moment to moment. He Gives a Direction, you follow it. When you are done, He Gives you another. Worry is gone. Right now, He’s Asking that we set aside time to PRAISE HIM! Who knows WHAT God Might Do in the affairs of mankind when the whole earth stops to praise Him – together! Paul and Silas praised Him at midnight in a prison cell. He Sent an earthquake to deal with their enemies! Who knows WHAT may happen? Maybe He’ll Work on the evil in people’s hearts and minds. He’s God! He Has more Ideas than we can comprehend. Let us join together to foil the attempts of the enemy! The last thing satan wants is for us to praise GOD! Let us join together because “it’s the right thing to do” to praise our MAGNIFICENT GOD! The CREATOR of the Heavens and the earth, the seen and the unseen Let EVERYTHING that has breath – PRAISE THE LORD! Wherever you may be on December 25th at 3pm in YOUR time zone…..please stop what you’re doing and give thanks and praise to our God. Biblical Basis (Scriptures) – The nations shall praise The Lord! For Jews, Messianic and Christians – All peoples should praise The Lord, He Would Not that any should perish! I strongly believe in developing a deep and abiding “relationship” vs. going through motions in a public setting. My life is laid down before Him for many years. I’ve been through deep and prolonged sufferings, through which I’ve come to rely upon Him AS my “Everything” and FOR everything that is needed. Worship of The Lord is a deeply personal thing but gathering together has added benefits. Where two or more are gathered, He Is in the Midst of them. He Inhabits our praises. There is a multiplied effect of people gathering to pray and praise Him. I pray that His Presence Will Overshadow each gathering, and that miracles will happen! I pray that backsliders will be touched through and through by Holy Spirit! I pray that people who don’t know Him will be touched to accept Him as their Savior and King. We must put aside the legalism and ritualism of what this is “supposed” to look like and just praise Him from the depths of our inner being. Let us follow His Spirit and not the letter of man-made laws of what worship should look like. This is not about performance, not about being “seen.” Many can gather together and still be in their own personal closet with Him. And if they are about “look at me” while singing, then Holy Spirit WILL Correct, Train and Advise. That’s not our problem, it’s His Job. Our job is threefold: 1) monitoring our own hearts, 2) praising Him with every fiber of our being, and 3) spreading the word about this. However you choose to participate, is between you and The Lord! This is just a start, and people will grow and the movement will grow over the years. Let’s put our human minds aside and come from our hearts! 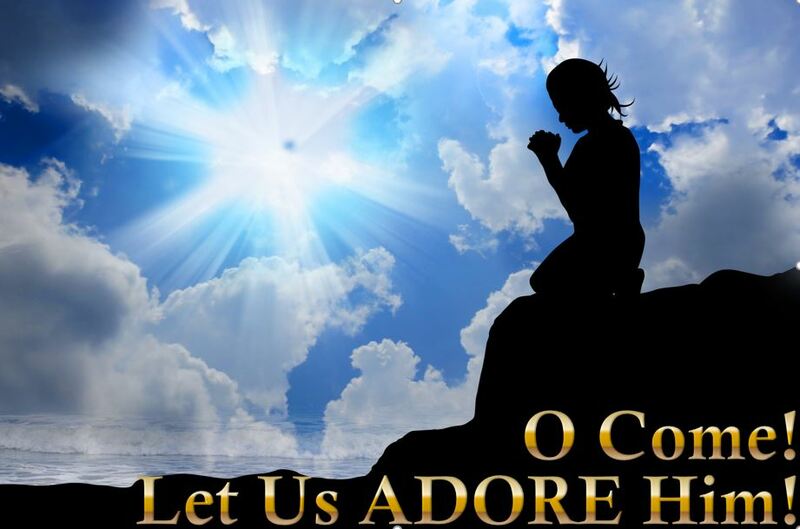 Therefore, I ask you to prayerfully consider taking His Desires, and His Requests that I’m passing through these emails to as many people as each of you can reach. Onward! Toward His Second Coming! And towards the whole earth crying out for Him! WATCH THE WAVES OF PRAISE! 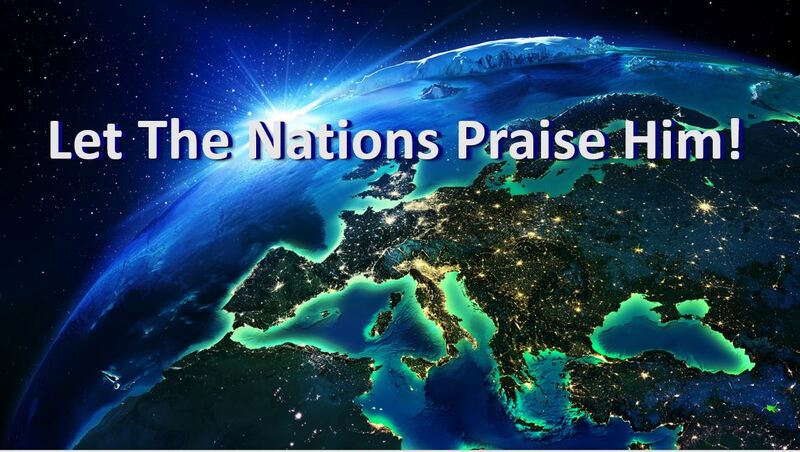 WATCH the Waves of Praise as they go up one by one at 3pm in each of the 24 time zones across the earth. Waves of Praise on Christmas Days! 3pm in EVERY time zone! Would you kindly consider being a participant in a Move of God started 4 years ago? I am looking for people to spread the word on their blogs, social networks and more. We’re not counting numbers, nor taking email addresses. We’re igniting a fire for The Lord! There are no costs involved and no fund raising. It is simply a “word of mouth” movement. 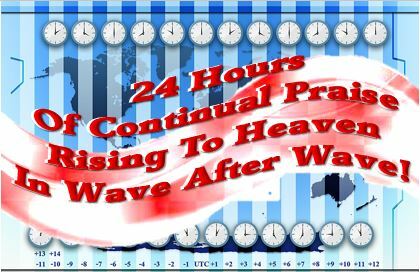 It is a praise movement to send WAVES OF PRAISE to Heaven at 3pm in each and every time zone across the world for 24 hours! Every time the clock strikes 3:00 somewhere in the world, another WAVE of Praise goes up! It is a movement The Lord Asked me to start in 2010, and is in its 4th year. It will help turn hearts from presents and commercialism back to the real meaning of our very existence. You see, “santa claus,” a fictitious and pagan figure has taken all the credit, while Jesus Has Not Gotten enough of it. This is a way to put Christ back in Christmas. It’s just the right thing to do. It is to become a new and annual tradition. Remember to thank Jesus for Coming to earth as our Savior. Some pastors in foreign countries are opening their churches for this! I have connected with people in 80 countries so far, but there are 192 in the world. And, there are a lot more people that I’ve not yet reached. This is the time The Body of Christ should unite in His Name, just prior to His Second Coming. Please utilize the power of the internet and forward to your family, friends, contacts and colleagues, radio and tv stations and announcements, church bulletins and announcements, and social networks. For those in missions and ministries, please send the information to the churches, pastors and organizations you’ve had contact with in other countries. Please post on your blogs, and send emails to your contacts. Even just a mention and a link to the website or blog will help! This year, I have set up 2 blogs plus a Facebook page for people to post pictures and videos of their praise gatherings across the world if they choose. There is certainly no requirement that they do. NO MONIES ARE INVOLVED – IT’S ALL FOR THE GLORY OF GOD! Please spread the word and CATCH THE WAVE! This praise movement is a Move of God that started 4 years ago on Christmas Day. There are no costs involved and no fund raising. It is simply a “word of mouth” movement. You see, “santa claus” (who is no more than a fictitional and pagan figure ) has taken all the credit, while Jesus Has Not Gotten enough of it. 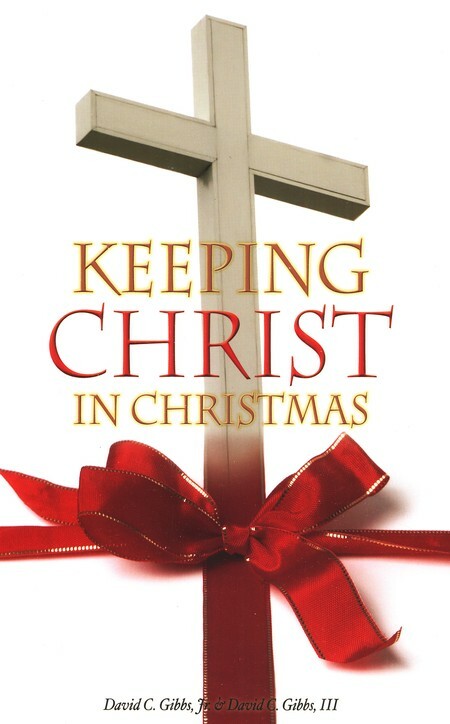 This is a way to put Christ back in Christmas. Everytime the clock strikes 3pm, another WAVE OF PRAISE will go up to Heaven! Please forward it to pastors, friends, family, social networks, especially those from other countries. Please spread the word and CATCH THE WAVE! No monies are being raised. We’re not counting numbers, nor taking email addresses. We’re igniting a fire for The Lord! HOW? Praise and worship anyway you like for as long as you like. Gather friends, families, churches. It’s just the right thing to do. Please forward to your friends and colleagues, radio and tv, social networks in your country, and especially those in other countries. Afterwards, if you want, come back here and post pictures and videos from your gatherings across the world. IT’S ALL FOR THE GLORY OF GOD! UTC -12 This is the last time zone, which will complete the 2018 Worldwide Waves Of Praise!! In this zone are Baker and Howland Islands, both.. Thank you so much to everyone who participated in this year’s Waves Of Praise! Those who praised, those who read the posts or watched the videos,..
UTC -11 Worldwide Waves Of Praise – Who’s turn next? Praise The Lord! USA – American Samoa, Jarvis Island, Kingman Reef, Midway Atoll, Palmyra..
Aitutaki, Cook Islands – "The most beautiful lagoon in the world." UTC -10 We’re almost finished! FRANCE: French Polynesia NEW ZEALAND: Cook Islands USA: Alaska Aleutian Islands, Hawaii http://www.WavesOfPraise.org..
Christmas – A Pagan Holiday?